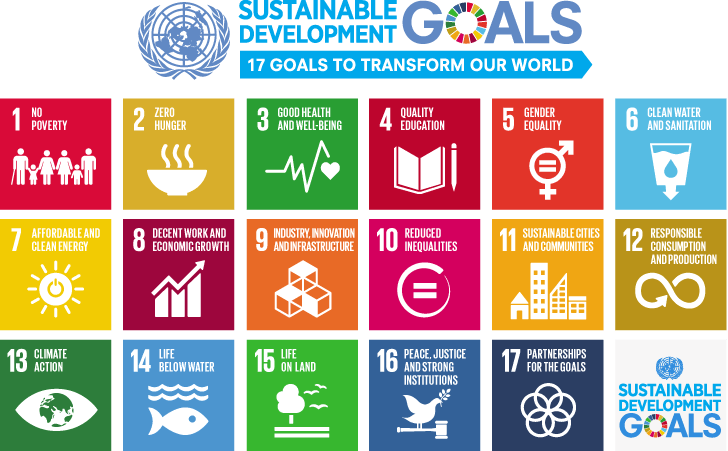 The Sustainable Development Goals (SDGs), otherwise known as the Global Goals, are a universal call to action to end poverty, protect the planet and ensure that all people enjoy peace and prosperity.These 17 Goals build on the successes of the Millennium Development Goals, while including new areas such as climate change, economic inequality, innovation, sustainable consumption, peace and justice, among other priorities. The goals are interconnected – often the key to success on one will involve tackling issues more commonly associated with another.The SDGs work in the spirit of partnership and pragmatism to make the right choices now to improve life, in a sustainable way, for future generations. They provide clear guidelines and targets for all countries to adopt in accordance with their own priorities and the environmental challenges of the world at large. The SDGs are an inclusive agenda. They tackle the root causes of poverty and unite us together to make a positive change for both people and planet. We are proud to invite you to join us at International Scientific Conference on Sustainable Development 2017, “Transforming our World: The role of Science to foster the integration and the implementation of the Sustainable Development Goals (SDGs)”, that will take place from November 24-25, 2017 in Baku, Azerbaijan.